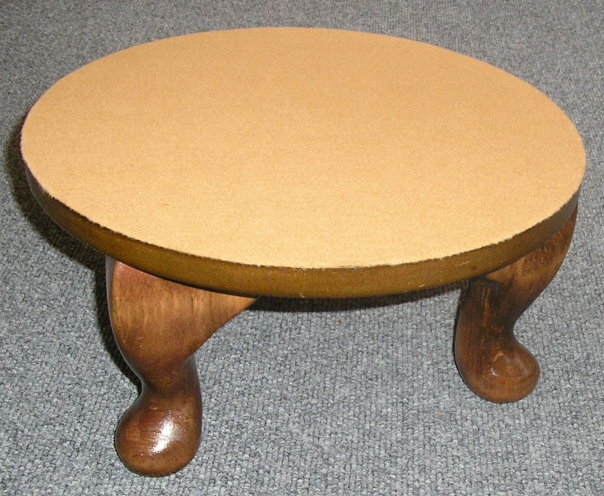 A three-legged wooden stand on which a drum can sit to be desplayed. No fixing required, no damage to drum. Available for side drum and tenor drum. Approx. 17 cm high. Measures 37 cm diameter and 24 cm high. 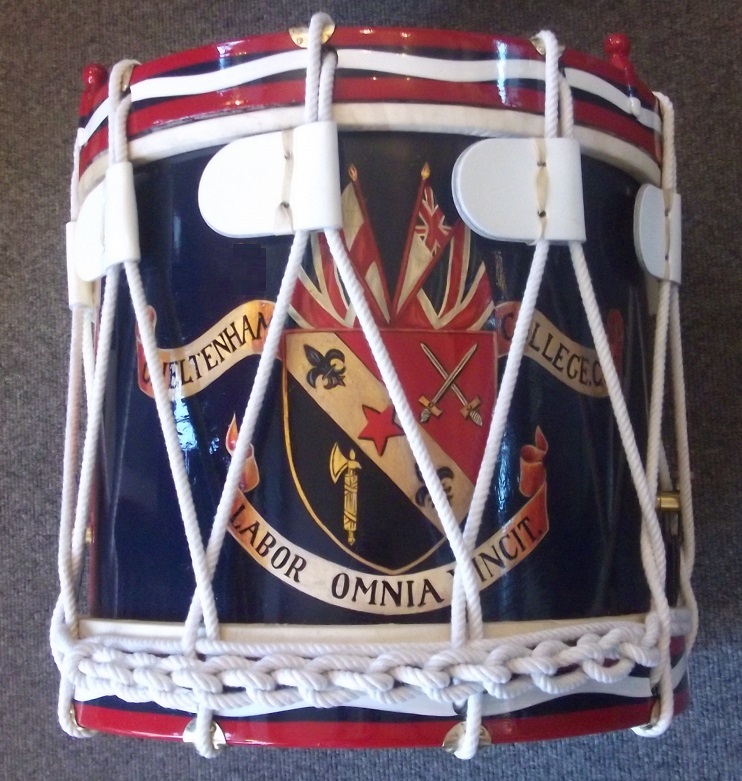 Denbighshire Hussars shallow pattern drum. Rope tension. King's Crown (1930s livery). Victorian Crown. Measures 35 cm wide by 68 cm diameter. Hand painted. 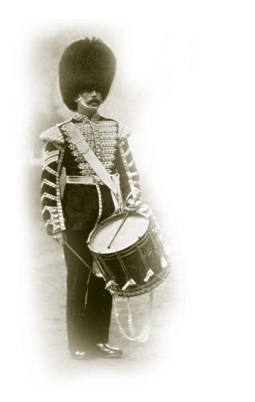 Regiment disbanded 1922. King's Crown. Measures 29 cm wide by 68 cm diameter. Hand painted. 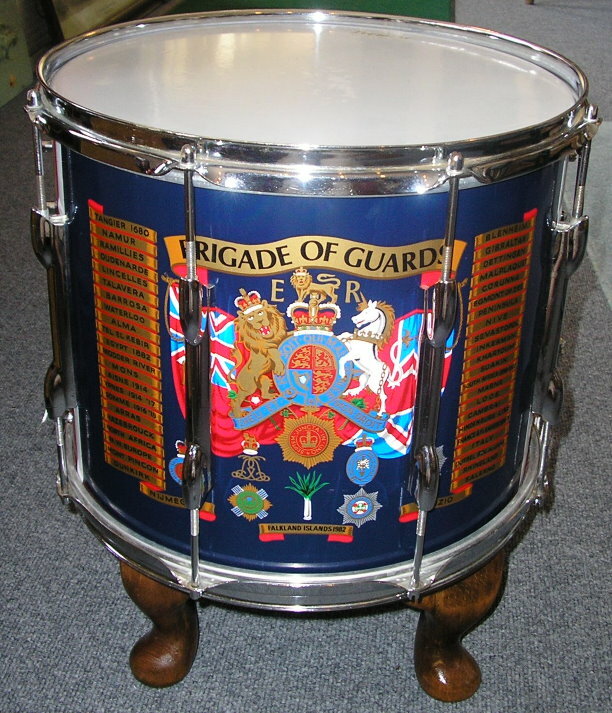 Regiment disbanded 1922. Aluminium shell, produced by Henry Potter & Co. when the 7th Gloucesters were re-formed for service in World War Two. 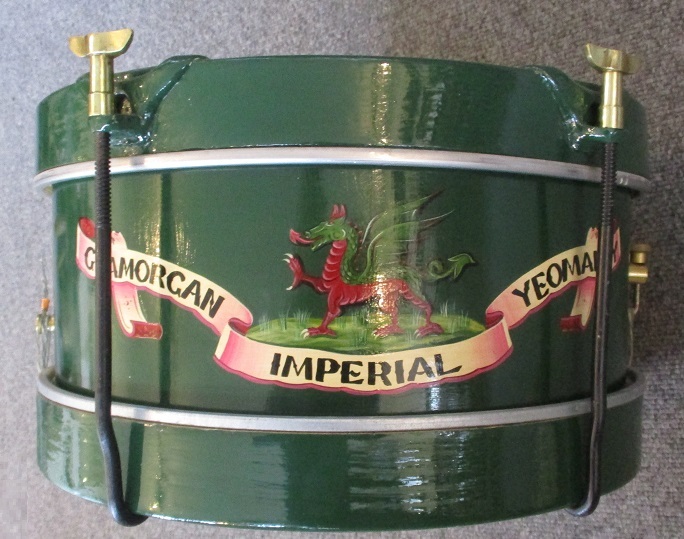 Produced for the 71st Regiment re-enactment group who played one of these drums at Waterloo.